Cam and Eli Young Band each collected their first MusicRow No. 1 Challenge Coins in Nashville this week. 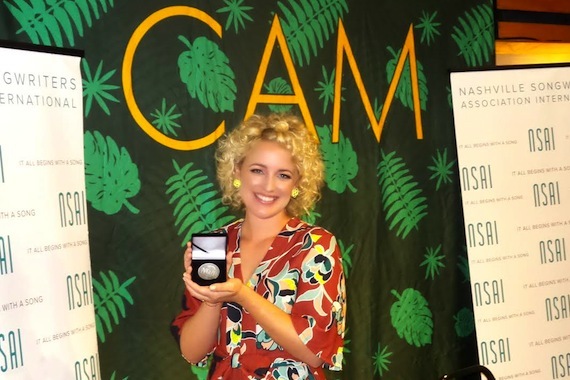 Cam accepted her coin for “Burning House” at a press event on Monday morning (Oct. 10). The event coincided with her American Music Awards nomination for Favorite Female Artist – Country. 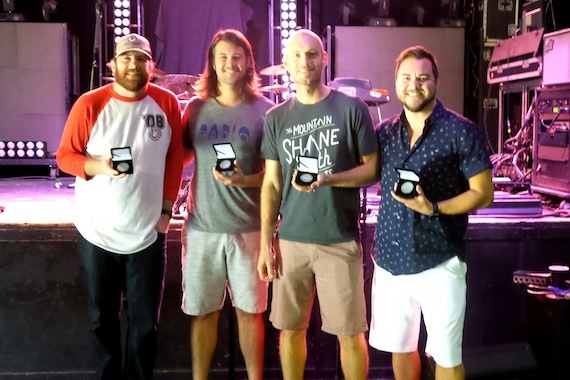 In addition, Eli Young Band received their coin leading up to a concert at Exit/In in Nashville on Sunday. Prior to soundcheck, the band posed with their coins for the No. 1 single, “Dust.” The band’s next concert will take place Wednesday in Charleston, S.C. Since 2014, every artist and songwriter to reach No. 1 on the MusicRow CountryBreakout Chart receives a coin.